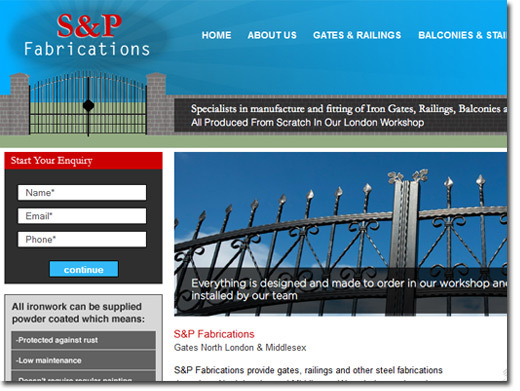 S&P Fabrications specialise in manufacturing and fitting iron gates, balconies, railings and stairways. They have over 15 years experience in the industry, with everything designed and made to order. They offer these services throughout Middlesex, North London and the surrounding areas. UK (Enfield) based company - with over 15 years' experience, and with business premises - manufacturing and fitting iron gates, balconies, railings and stairways. Website includes details of services provided, client list, full company contact details including company registration number.